As the son of an U. S. Air Force mechanic, Jim Jenkins realized at a young age his own interest in combining mechanisms and art. Early influences include the work of Swiss sculptor Jean Tinguely (1925-1991) and American sculptor George Rickey (1907-2002), both pioneers in kinetic art. Coincidentally, both also have ties with Jim's home state of Indiana (USA). Rickey was born in South Bend and taught at Indiana University. The town of Columbus houses one of Tinguely's only U.S. commissions, a thirty foot tall work entitled "Chaos I" completed in 1974. Jim received his BFA from Murray State University in Kentucky and a MFA from Syracuse University in New York. In 1981 he moved west to head the sculpture program at California State University, Fullerton . He retired from CSUF in 2018. In 1982 Jim had the inaugural solo exhibition at Los Angeles' newly opened Museum of Neon Art. In the mid-80's he and fellow LA kineticist Dave Quick co-authored Motion Motion: Kinetic Art. The book, released in 1989, features the work of twenty American artists who incorporate movement. Following the release of the book Jim began to curate exhibitions of kinetic work. The most recent of these, entitled "humanchine", took place in 1998 at the Museum of Neon Art. 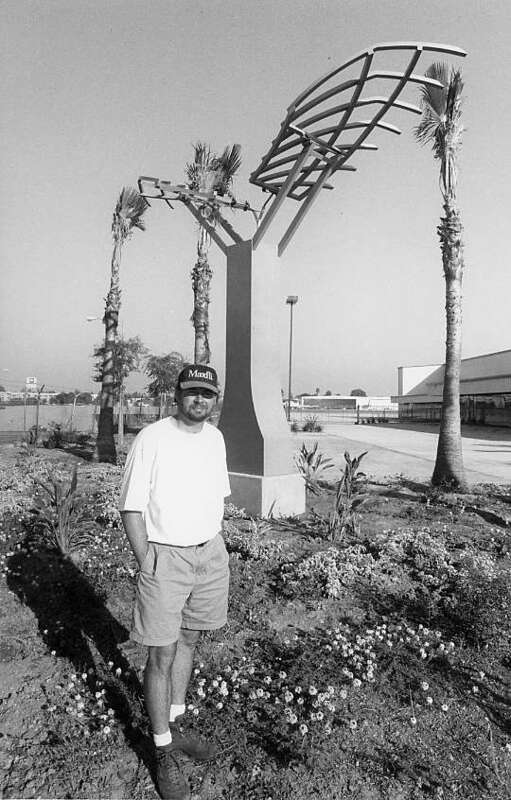 His first public commission was installed in 1997 at the Southwest Aviation Complex at the Van Nuys Airport. The sculpture was part of Los Angeles' Percent for the Arts Public Works program. The piece, entitled Alaris, features a pair of wings that are motorized to slowly flap. While Jim continues to exhibit primarily within the United States, in 2003 he was included in an exhibition of neon and kinetic art at Caretta Shiodome in Tokyo. In 2007 his work was included alongside that of three other notable American kinetic artists (Gregory Barsamian, Arthur Ganson, and Bernie Lubell) in an exhibition titled "Humana Ex Machina", presented by the Main Art Gallery at Cal State Fullerton. He currently has several works on extended loan at the Mechanical Art and Design Museum in Stratford upon Avon in the UK. He works and resides in Costa Mesa, California, USA.